Capital Community Broadcasting, Inc. is a not-for-profit organization, with 501 (c) (3) IRS status (CCBI IRS letter). 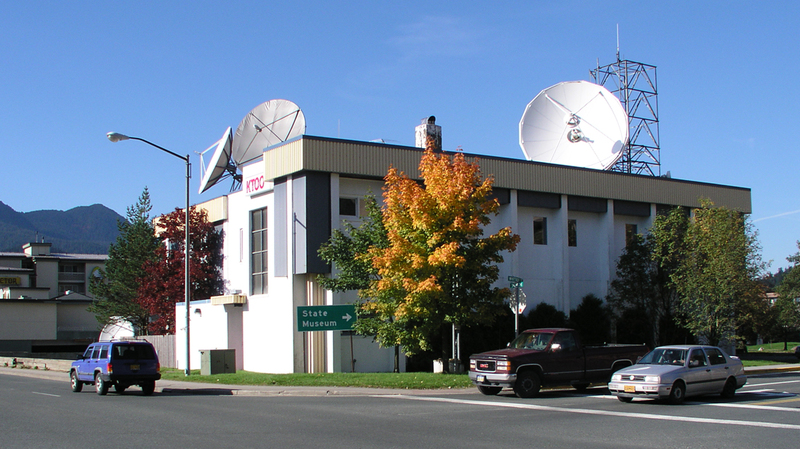 We hold non-commercial broadcast licenses from the FCC, and we receive individual, business, state and federal funding to support public media in Juneau. We strive to be transparent to the community and to our listeners and viewers. We will post relevant information about KTOO’s practices, policies and finances on this page. Our Board of Directors meets 10 times year (usually once a month, except August and December). Acting only with a quorum of at least six members, the board follows a typical meeting agenda and generally meets on the first Thursday of the month at 5:00 p.m. Board meetings are noticed on our community calendar. A list of board members can be found here. Upcoming Board of Directors meetings in 2019 are scheduled for the following dates. All regular meetings are held in the first floor conference room at KTOO, 360 Egan Drive in Juneau unless otherwise noted. The schedule is subject to change and will be updated here. Please call us at 907-586-1670 to confirm. Regular Board Meeting: January 3, 2019 at 5 p.m. Regular Board Meeting: February 7, 2019 at 5 p.m. Regular Board Meeting: March 7, 2019 at 5 p.m. Regular Board Meeting: April 4, 2019 at 5 p.m. Regular Board Meeting: May 2, 2019 at 5 p.m. Regular Board Meeting: June 6, 2019 at 5 p.m. Regular Board Meeting: September 5, 2019 at 5 p.m. Regular Board Meeting: October 3, 2019 at 5 p.m. Regular Board Meeting: November 7, 2019 at 5 p.m.
A list of advisory board members can be found here. If you are interested in serving on the KTOO board, our nominating committee wants to hear from you. Applications are accepted at any time. Just complete the application form and we’ll get back in touch. To send a message to the board, please use the contact form. KTOO subscribes to the Public Media Code of Integrity, which can be found here. Closed-Captioning complaints can be made by phone (907-586-1670), Fax (907-586-5692) or e-mail to info (at) ktoo (dot) org. Written complaints may be sent to Bill Legere, President & General Manager, KTOO-TV, 360 Egan Drive, Juneau, Alaska 99801. Persons with disabilities can contact Bill Legere, President & General Manager, KTOO-TV, 360 Egan Drive, Juneau, Alaska 99801 to arrange access. KTOO and CoastAlaska are Equal Opportunity Employers. Resumes may be sent to Personnel, KTOO, 360 Egan Drive, Juneau, Alaska, 99801. We file an annual report with the FCC, detailing our EEO efforts: view our most recent EEO Public File report. CCBI is committed to diversity. Read our diversity policy here and our latest annual report on the diversity policy here. And if you’d like to work here, visit our careers page.